The Student Success Center is committed to the success of every student. The student success staff and resources are available to assist students of all majors, classifications and academic needs with comprehension of course material as well as in the development of study, research, analytical, reading, writing and critical thinking skills. The Student Success Center offers help with writing assignments and academic support in core subjects as well as mathematics, chemistry, physics, accounting and economics. 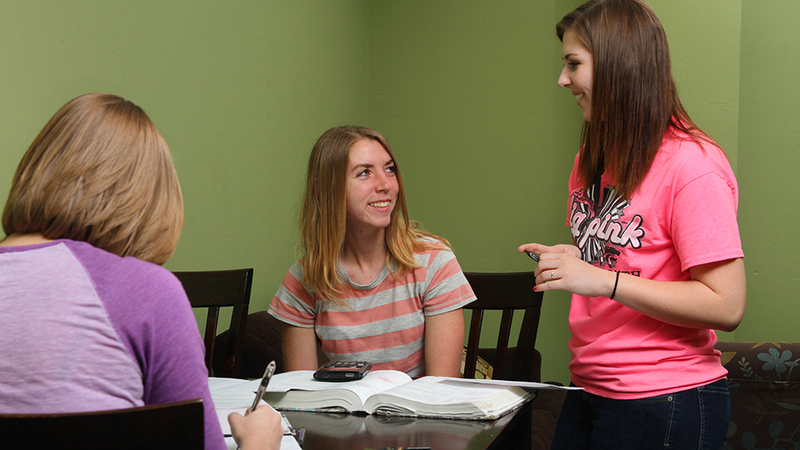 The Student Success Center also provides aid in research, organizing study groups and academic feedback. In addition, the Center provides academic advising to those undeclared or in the process of changing their majors. While a writing assistant and math/science mentors will be working at all times when the Center is open, subject and staff availability can change due to scheduling issues. Feel free to email us at student.success@okbu.edu if you need to confirm a specific staff member's schedule or subjects available at certain hours. Also, watch your email for group sessions specially scheduled for your exams.